John Raupp. Courtesy of Raupp Memorial Museum, Buffalo Grove, Illinois. [S7] St. Mary Catholic Church, St. Mary's School Dedication, 138, 152. [S11] John J. Weidner, Compiled Birth, Death, 386, 389, 390, 393, 413, 417, 418, 419, 429, 436, 442, 454, 667, 681. [S22] Cook County Herald, 20 Sep 1902, p. 8, col. 5. [S64] Cook County Herald, 03 Mar 1939, p. 1, col. 3. [S397] Letter, Regina Brusca to John J. Weidner, 30 Dec 1998. [S405] The Cemetery Committee, Vernon Township Cemetery Inscriptions, Lake County, Illinois, 101. [S758] Daily Herald, 05 Aug 1987, sect. 1, p. 9, col. 2. [S1036] Mary Margaret Raupp, State of Illinois; Department of Public Health - Division of Vital Statistics; Cororner's Certificate of Death. [S1041] John Raupp, State of Illinois; Department of Public Health - Division of Vital Statistics; Certificate of Death. [S7] St. Mary Catholic Church, St. Mary's School Dedication, 152. [S530] 06 Jul 1860 1860 U. S. Census, Arlington Heights, Cook County, Illinois, USA, Wheeling Township, page 156, dwelling 1092, family 1052. 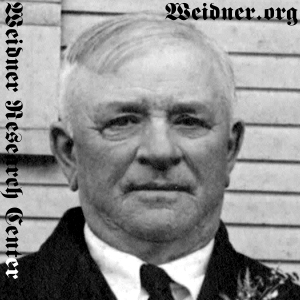 [S11] John J. Weidner, Compiled Birth, Death, 418, birth date extrapolated from age at time of death, 81 years, 5 months, 21 days - born 28 September 1857. [S64] Cook County Herald, 03 Mar 1939, p. 1, col. 3, Obituary states he was born 12 September 1857; birth date, city. [S530] 06 Jul 1860 1860 U. S. Census, Arlington Heights, Cook County, Illinois, USA, Wheeling Township, page 156, dwelling 1092, family 1052, 1860 census states he is 3 years old and born in Illinois. [S1041] John Raupp, State of Illinois; Department of Public Health - Division of Vital Statistics; Certificate of Death, Death certificate states he was born on 12 September . Birth year extrapolated from age at time of death, 81 years, 5 months, 11 days. Birth city and state. [S11] John J. Weidner, Compiled Birth, Death, 418, 436, 667. [S64] Cook County Herald, 03 Mar 1939, p. 1, col. 3, no date or location. [S397] Letter, Regina Brusca to John J. Weidner, 30 Dec 1998, Marriage date only. [S1036] Mary Margaret Raupp, State of Illinois; Department of Public Health - Division of Vital Statistics; Cororner's Certificate of Death, No marriage date or location. States she was married at the time of death. [S1041] John Raupp, State of Illinois; Department of Public Health - Division of Vital Statistics; Certificate of Death, No marriage date or location. States he was widowed at the time of death. [S11] John J. Weidner, Compiled Birth, Death, 418, death date only. [S64] Cook County Herald, 03 Mar 1939, p. 1, col. 3, States he died at home. [S397] Letter, Regina Brusca to John J. Weidner, 30 Dec 1998, Death date, died at home. [S1041] John Raupp, State of Illinois; Department of Public Health - Division of Vital Statistics; Certificate of Death, Death date, street name, township, county, state. [S11] John J. Weidner, Compiled Birth, Death, 418, burial date only. [S64] Cook County Herald, 03 Mar 1939, p. 1, col. 3, Burial date only. [S405] The Cemetery Committee, Vernon Township Cemetery Inscriptions, Lake County, Illinois, 101, cemetery name, township, county, state. [S1041] John Raupp, State of Illinois; Department of Public Health - Division of Vital Statistics; Certificate of Death, Burial date, cemetery name, city, county, state. [S11] John J. Weidner, Compiled Birth, Death, 413, 681. [S171] Elk Grove Herald, 18 Apr 1975, sect. 1, p. 9, col. 2. [S11] John J. Weidner, Compiled Birth, Death, 454. [S11] John J. Weidner, Compiled Birth, Death, 429. [S11] John J. Weidner, Compiled Birth, Death, 418. [S396] Letter, Regina Brusca to John J. Weidner, 11 Aug 1998. [S11] John J. Weidner, Compiled Birth, Death, 419. [S11] John J. Weidner, Compiled Birth, Death, 393. [S7] St. Mary Catholic Church, St. Mary's School Dedication, 140, 152. [S11] John J. Weidner, Compiled Birth, Death, 390. [S11] John J. Weidner, Compiled Birth, Death, 389, 442. [S11] John J. Weidner, Compiled Birth, Death, 386. [S11] John J. Weidner, Compiled Birth, Death, 451. [S11] John J. Weidner, Compiled Birth, Death, 417. [S11] John J. Weidner, Compiled Birth, Death, 415.